Most seniors experience some cognitive decline as they age. However, by taking a few preventative measures, seniors may be able to reduce their risk of Alzheimer’s. Here are a few Alzheimer’s prevention tips. Increased stress levels may be linked to cognitive decline. There are many activities that can alleviate anxiety, including yoga and meditation. 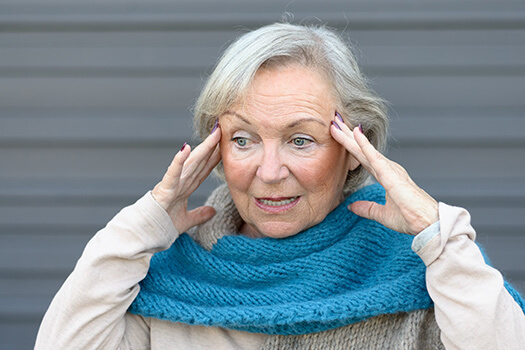 Seniors who regularly experience stress should find a method that works for them, whether it’s attending weekly dance classes or performing breathing exercises while on a walk in the park. Professional caregivers can help seniors de-stress and manage daily activities. In Huntsville, AL, home care agencies can be a great boon to seniors. With the help of the caregivers at Home Care Assistance, your aging loved one can lead a happier and healthier life. We offer a revolutionary program called the Balanced Care Method, which encourages seniors to eat nutritious foods, exercise and socialize regularly, and focus on other lifestyle factors that increase life expectancy. The foods seniors eat affect their cognitive abilities. Seniors who are worried about Alzheimer’s may want to follow the MIND diet, which is specifically tailored to promote brain health. This diet is inspired by the foods eaten in the Mediterranean region, as people living there have much lower rates of Alzheimer’s and dementia. Leafy greens, nuts, berries, and olive oil are just a few of these brain-healthy foods. The MIND diet also has cardiovascular benefits, making it a good choice for seniors. Seniors who are isolated are at a greater risk for Alzheimer’s. Social engagement is an effective way to stay cognitively active because it keeps the brain stimulated and forces it to work hard. Seniors should try to arrange regular social dates with friends and family members. While the body is asleep, physical processes take over. Important hormones are secreted, the core temperature drops, and the brain gets rid of waste it’s accumulated during the day. When people don’t sleep enough, the toxic byproducts in the brain start to pile up. Over time, this can have tangible negative effects and may even lead to Alzheimer’s. To reduce the risk of Alzheimer’s, seniors should try to get eight hours of sleep per night. If they have a difficult time sleeping at night, an afternoon nap may correct their sleeping imbalance. To keep the brain in good shape, it’s crucial to keep it mentally engaged. There are plenty of ways to engage the mind, and seniors can find mentally stimulating hobbies they truly enjoy. Perhaps they’ll enjoy playing memory-based games on their phone. Maybe listening to nonfiction books on tape will keep them cognitively healthy. They can also try crossword puzzles, lectures, or learning a foreign language. Consider hiring a professional caregiver if your elderly loved one needs mental or social stimulation. Huntsville home care experts are available to provide high-quality care to seniors on an as-needed basis. From assistance with mobility and exercise to providing transportation to the doctor’s office and social events, there are a variety of ways professional caregivers can help your aging loved one continue to live independently. Seniors shouldn’t avoid exercise. Staying active can reduce the risk of Alzheimer’s by up to 50 percent. Older adults should aim to exercise for 150 minutes every week, and those who are new to exercise or have limited mobility can start off slow. A brisk walk or spending some time in the pool can help seniors boost their cardiovascular health. Seniors can also try simple weight training exercises, as they can boost brain health. Head injuries increase the risk of Alzheimer’s, so preventing falls is important for all seniors. Coordination exercises can increase balance, which minimizes the chances of slips and falls. Family caregivers can become overwhelmed when caring for a loved one who is at risk of Alzheimer’s disease. Families who find it difficult to care for their aging loved ones without assistance can benefit greatly from professional respite care. Huntsville, AL, family caregivers who need a break from their caregiving duties can turn to Home Care Assistance. Using our proprietary Balanced Care Method, our respite caregivers can encourage your loved one to eat well, exercise regularly, get plenty of mental and social stimulation, and focus on other lifestyle factors that promote longevity. If you need a professionally-trained caregiver for your elderly loved one, contact us at (256) 716-9940 today.